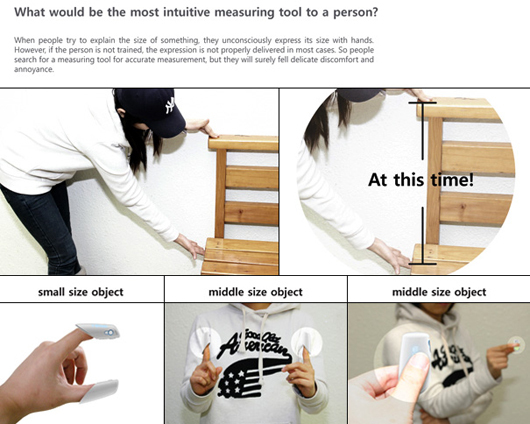 While discussing with friends or family we normally use our hands to describe size of any objects. Will that be accurate ? Does it matter ? Who knows. Always its better to be accurate. What do you say ? 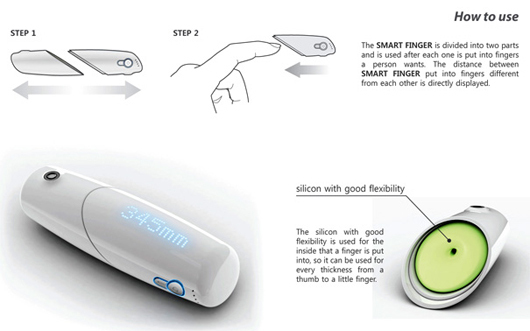 Smart Finger is unique measuring tool designed which displays the distance accurately. 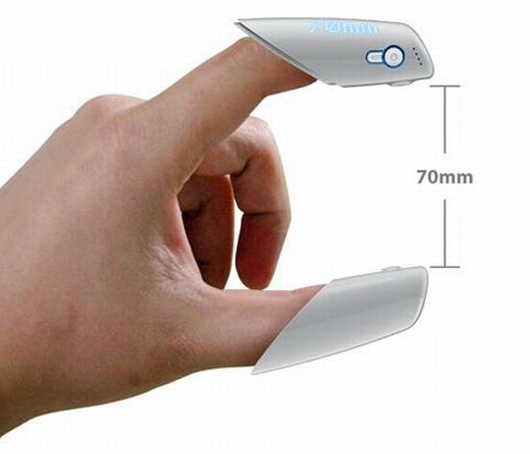 This device can be separated into two plastic tubes which you have to wear on your real fingers to measure the distance between themselves. A signal is sent between the devices and the time taken gives the distance between them. Displayed distance can be stored in memory for transferring into a PC. Its very useful in daily life. Unfortunately still this is just concept. Need to wait and see for real product to hit market.